Great. Lowest cost. Best quality. Improved. Not crowded. Very easy drive up 95,lovely people working there, and the course was fabulous...Worth the drive...will go back in the fall.Should be beautiful with the foliage. 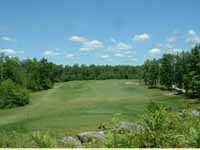 inexpensive course that stays in good shape. Great course with open spaces. Both fun and an easy play Diamand in the rough.